Question: The password on the wifi at this park has not been changed in the last several years that we've been staying here. Any idea why the owner is reluctant to try that easy fix to the wifi problem here? I imagine all of the neighborhood now has access to free wifi here. This park finally has a really good, helpful person running the office. No more handwriting credit card numbers when you call in or any of that old business. The big problem is absolutely terrible, unusable internet service and that's likely because they have not changed the password since the park opened. Apparently the owner does not care because the park manages to fill up anyway. He also has a new RV park at Beaver Dam, so attention is probably being drawn away to that. I hope the staff stays, but for a park with no picnic tables or other amenities it would seem they might do something about the internet. We camped at Sun Resorts RV Park in a Fifth Wheel. Do not even think about taking your RV here. It's terrible. Nothing but dirt in a run down, scary environment. We were quoted a rate of $45.00 but they only charged $40.00 and that's the most positive thing I can say. I reserved two days via email exchange with them and when we arrived we were told that we had been expected the day prior. 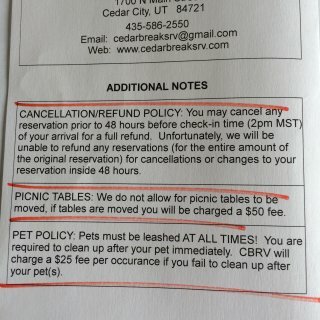 After we signed up and paid an employee came in and barked at us asking if we had a reservation. (I double checked the email exchange and the mistake was not mine.) We were, after some confusion about where to put us, shown a site with full hookups across the street from the store and cafe and were among what looked like full timers with mostly run down trailers. There were no restrooms unless you count a shed with some toilets in it and no windows on it. I've never stayed in a place this awful in my life. Absolutely the worst experience of my several years RVing and snowbirding. Terrible Terrible Terrible. The store is well stocked, but though we were the only customers in the store we were not greeted or asked if we needed help. The cafe closed early on Sunday. No problem we went to Good Springs and had a wonderful lunch at the Pioneer Saloon. We camped at Hotel Nipton, Nippeno Camp & Conference Center in a Fifth Wheel. First let me say they do have laundry facilities. That was important to us and I didn't see it in the other reviews or on the KOA list of amenities here. That could be because they're still updating the campground and the laundry room is fairly new. The washers and dryers are each $1.50, but the laundry room is clean and there is even a clothesline with clothespins and an ironing board and a great patio to sit on while you wait. I was impressed!! There is a large, clean, well appointed clubhouse attached. Everything here is in very good condition and the folks are helpful and friendly. The sites are gravel, but very spacious and angled so you aren't looking directly into your neighbor's camper. Unlike other's comments I found the wifi very good. We didn't stream (against the rules) but for checking email (and typing up this review) the wifi is better than most. Gila Bend itself is not a great place to stay or visit, but if you are passing through be sure to stay here. We camped at Gila Bend KOA in a Fifth Wheel. The only thing we did was eat at the Space Age restaurant (not great, but not bad either) and visit the Painted Rocks Petroglyph site which was worth the trip and didn't take very long. There is a BLM campground there with no hook-ups, but it has restrooms. This is a nice park. It may be the best in the area, but there were a couple of issues. We don't have dogs, so the constant dog barking was annoying here. It seems everyone, except us, has at least two dogs and while walking them around the campground all of the other dogs have to greet them by barking. The park is shady and we had a grassy area next to our trailer, but no picnic table. I saw a table or two here and there, so I called the office to ask if there was one available we could borrow, but there was not, so we ate inside. As you enter there is a huge dip in the road and I mean huge. Be careful. The speed limit is 11, but it's not possible to go that fast through the park, which may be a good thing as long as you have everything fastened down. There is a 30 day no refund policy. That's is a bit strict. I don't ever recall staying in another park anywhere that was quite that strict. I would recommend the park, but watch the dip, bring ear plugs if dog barking bothers you and bring a table if you want to eat outside. We camped at WillowWind RV Park in a Fifth Wheel. As others have stated this park is very convenient to grocery store and drug store. The liquor store is about 8 miles away. This is a very nice, clean, and very quiet campground, which was exactly what we were looking for as we visited the Atlantic Beach area. The park has mostly seasonal/long term folks, but there are plenty of overnight type spaces this time of year. If you're looking for a pool and a playground and nightly activities this is not your campground, but if you want a beautiful setting with access to a fishing pier where you can watch the sunrise or sunset I highly recommend this campground. There is no WiFi other than the hotspot at the office and I couldn't pick that up even with my booster, so we relied on our Verizon cell service and data plan which worked well. The other campgrounds in the area were higher priced and did advertise WiFi, but for the low rates at this park we figured we could use our data plan and even if we went over we would still be money ahead. When we checked in we were given a bag of candy and a pen. That was a nice touch that we haven't received anywhere else. There are no laundry facilities or cable TV. We were able to get over the air channels but couldn't get CBS. We camped at Waters Edge RV Park in a Fifth Wheel. I loved visiting Fort Macon and accessed the beach from there. We also enjoyed the quaint, picturesque city of Beaufort very much. We were looking for a North Carolina Barbecue experience and went to Smithfields Chicken N Barbecue. It was okay, but not wonderful and is a fast food place. Pay attention when someone tells you this is a party campground. We stayed here the weekend prior to Halloween and it is a noisy, busy, party place. If you enjoy a nice quiet camping experience this is NOT it. The campground was actually closed (Nobody in or out) for an hour while there was trick or treating. If I had it to do over again I would NOT stay here again. If you are looking for a party though, by all means this is your campground. You can share space (awning to awning) with your neighbors playing loud music with a definite bass beat. There is a picnic table right next to your neighbor, etc. The lady was nice when we checked in and greeted us as soon as she put the rest of her cooking in her mouth and proceeded to tell us about her plans for the next two evenings. After a long drive and just looking for a nice place to relax and enjoy Chincoteague this is not the place to go. The wifi was TERRIBLE. 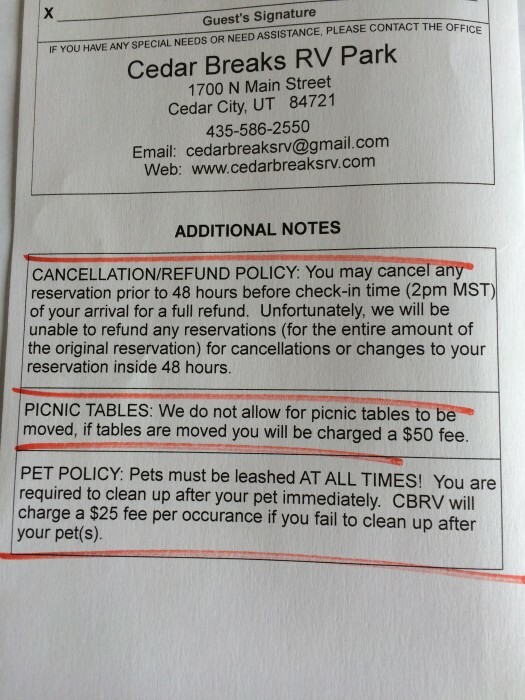 We rely on it to make reservations and it was slow and kicked us off several times during a reservation confirmation. Verizon coverage is good. We camped at Tall Pines Harbor Campground in a Fifth Wheel. We visited Chincoteague while here. Price listed is US Dollars as instructed. This includes the KOA discount. First let me say that the staff here is extremely helpful. When you arrive they give you details of the park (where to find restrooms, laundry, showers, etc) and then they lead you to your site. If I hadn't read the other reviews that mentioned electrical power issues, I probably wouldn't even have bothered to rate this park because everything turned out just fine for us. However, because I see in past reviews electrical problems have been an issue I thought it best to tell you that while we were there the park experienced a huge power surge that caused multiple problems for many of the campers there. Things like blown appliances and power converters. We had a few things ruined by this power surge, but to their credit, the owners paid out of pocket to replace everything we found wrong and even called in a repairman onsite to fix some of the issues. If they had not done so we would have been very upset, but as it turned out we went away happy customers with everything (we hope) repaired and/or replaced. The laundry room is terrible. I knocked huge spiders off of the ceiling so they would not land in my hair or laundry. It is all outside and there is really no place to fold anything AND it is cold water only. So that is a big problem if you plan to do laundry there. I did not use the restrooms or showers. The wifi is probably the best anywhere. We camped at North Sydney / Cabot Trail KOA in a Fifth Wheel. Don't plan on doing the Cabot Trail loop in one day. It takes at least two or three. Not sure why this place got such bad reviews. There is noise from the freeway, but there isn't anything scary about the place. Our site was a pull through with a little shade tree. It had full hookups including cable TV. The WiFi works great. We were just there overnight. We camped at The Travel Camp in a Fifth Wheel. This is probably the best park in Skagway and that isn't saying much. It's crowded and unattractive. We were given one Wi-Fi access code and it didn't work for either of us or any of our devices. But our Verizon mifi worked with a 3G connection most of the time. There was a very rowdy bunch our last night there (we stayed 3 nights) and there was nobody on site to do anything about it. I called the police and things got quiet for a short time and then the party started again and went well into the early morning. When I was able to get in touch with the manager the next day he apologized, but my guess is this goes on a lot because there are "rental" trailers on site. I would not stay here again. Given it to do over again, I would probably have stayed longer in Haines and cut the Skagway visit short. We camped at Garden City RV Park in a Fifth Wheel. We stayed here one night over Labour Day weekend and it was packed and noisy. The interior roads seem a bit narrow and we witnessed one trailer hitting a truck as it tried to squeeze by. We also did not appreciate the ATVs that drove through the campground and took off down the "walking" trail we were about to take a walk on. The water spigot at our site leaked so bad it was flooding our neighbors' site. I called and left a message at the office, but nobody came around to investigate it. I would not stay here again even though the Wi-Fi is really good and that is very important to me. We camped at Brookside Campsite in a Fifth Wheel. Very nice park! This is a very nice RV park with a lot of space between sites and grass at each one. We had full hookups, so we did not use the showers. There is a laundromat onsite. Everything looked clean and neat. The pool temperature was too cold to the touch for me or I might have tried it out since it was empty. Later some kids came and they seemed to enjoy it. The Wi-Fi here is excellent. They have recently spent money to upgrade it and you can sure tell. We stayed here 3 nights as we had to get the brakes fixed on our 5th wheel. We would stay here again. The also sell local honey in the office. We camped at Bee Lazee RV Park & Campground in a Fifth Wheel. This is a very clean, beautiful park. We checked in at the office and were told we could pick any open site. I asked about the Wi-Fi and was told it only worked in sites 1-5. We chose site 3 and the Wi-Fi did work okay there. The signal was a bit weak. We just spent one night here, but if we were back in the area we would probably stay here again. We camped at K'san Campground in a Fifth Wheel.